As we wait for the arrival of the Range Rover Velar SVR, Urban Automotive, based in the UK, offers the next best, thanks to its distinctive styling package for the advanced SUV. Aggression was clearly the name of the game when designing this kit because Urban overshooted the front bezel and fitted custom air intakes and new top and bottom grilles with black, horizontal slats. In addition, the Range Rover lettering found on the bonnet has been replaced by "Urban".On the sides, the tuner has a set of 23 inches, forged offset wheels mounted and the brake pads painted red. To our eyes, the front is a bit too exaggerated, but the adjustments found on the back are just right. 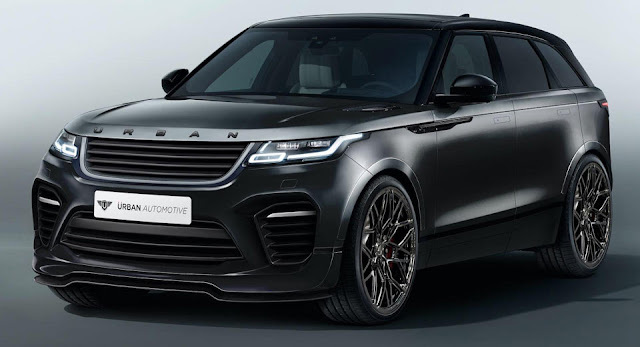 0 Response to "Urban Automotive Range Rover Velar is almost an SVR"